It gives us great pleasure to welcome JS Fields back as the guest on Episode 170 – Lesbians Working With Wood in Space!! JS Fields returns to share Ardulum Third Don, the final book in her trilogy – except for maybe a fourth, to share how fungi respond to Michael Bublé, and to reveal the story behind the scene readers have been wanting! Fields has lived in Thailand, Ireland, Canada, USA, and spent extensive time in many more places. Her current research takes her to the Peruvian Amazon rainforest each summer, where she traumatizes students with machetes and tangarana ants while looking for rare pigmenting fungi. She lives with her partner and child. It gives us great pleasure to announce J.S. Fields as the guest on Episode 129: Lesbians in Space! This week J.S. Fields returns to discuss her latest work, Ardulum – Second Don, how wood science has grown since her first book, and why being a vendor at a Pride event is different from a book event. J.S. Fields is a scientist who has perhaps spent too much time around organic solvents. She enjoys roller derby, woodturning, making chainmail by hand, and cultivating fungi in the backs of minivans. Nonbinary, but prefers female pronouns. It gives us great pleasure to announce J.S. Fields as the guest on Episode 117: And She Really Liked Ladies! This week J.S. 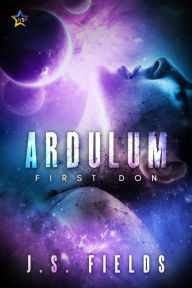 Fields joins us to discuss her latest work, Ardulum – First Don, wood science as sci-fi technology, and being a queer author and educator in a sometimes conservative field. Out-of-this-world guest J.S. Fields joined us very recently on our show! To hear more about her and get links to her work, click on Episode 117: And She Really Liked Ladies! I’m a bit of a lightweight when it comes to science fiction. I like familiarity, something to grasp at like a life buoy when the science becomes a little too … sciency. I like names I can pronounce, characters with Earth-like problems, and a setting I can almost identify with. Not quite, but almost. Ardulum has none of these things, and as a result, I struggled with it. Names like Ggllyll and Mmnnuggl kept cropping up, as well as the occasional use of non-binary pronouns (zir/ze) and this made it a challenging read, especially for a novice science-fiction reader. Having said that, the quality of the writing shines through. The author’s ability to keep the reigns of a complex plot, packed full of technical detail and vulnerable, believable characters, is testament to how much skill she has. Neek is an (other-)worldly wise, legally paid pirate, travelling through space, delivering goods across the galaxies. Exiled from her people by daring to voice her scepticism over the existence of the Ardulum, ancient people who enriched the lives of her ancestors before vanishing into legend, she is destined to roam the star-systems as a disgraced non-believer. Enter slave child Emn, who could be the one person to bring her peace, or is she? There is a lot to take in, from the complicated relationships between the protagonists to the large cast of secondary characters. The author knows what she is doing. That much is obvious. The plot is sure-footed, lifted up by confident writing with sure knowledge of the science involved. As I said, I’m a novice, and this book scares me to death and makes me feel just a bit stupid for not fully grasping it. This isn’t intentional on part of the author. Her intellectual approach to the story is just way above my pay grade. The hardened sci-fi readers will lap it up. It has everything they need, from slick gadgetry to crunchy violence, a strong main character and enough tech-talk for buffs to argue over for years. I said before that I struggled with the occasional appearance of non-binary pronouns, but that’s a personal thing. If they work anywhere, they should work best in a sci-fi setting. It shouldn’t put readers off, but it’s worth mentioning. So I wish I was able to “get” this more. The time, love and craftwork put into constructing the book is obvious and I appreciate it. I hope seasoned sci-fi readers give it the attention and praise it no doubt deserves.